In the latest twist to a complex tango between the two statesmen, two days back, Turkish Foreign Minister Mevlut Cavusoglu declassified a conversation between Trump and Erdogan on the sidelines of the G20 summit in Argentina a fortnight ago to disclose that POTUS had assured the Turkish leader that his administration is “working on extraditing Gulen and other people.” Now, this was dynamite. 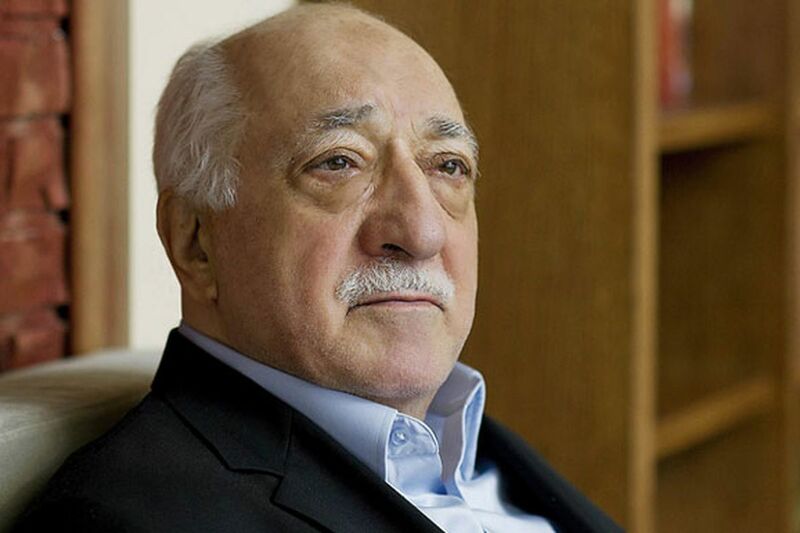 The Islamic preacher Fetullah Gulen who has been living in exile in Pennsylvania for the past two decades is Erdogan’s nemesis and Ankara is desperate to get hold of him and make him sing. Erdogan alleges that Gulen masterminded the 2016 failed coup attempt to overthrow him. Besides, Gulen is perceived as the CIA’s “asset” in the Muslim Middle East who could be the ideological guru of any democratization of the region through “moderate” Islamism. Thus, sacrificing Gulen will be a major concession by the US security and political establishment – although Trump himself has kept distance from him. One possibility is that POTUS who is a terribly distracted person nowadays, fighting bush fires all around him, was incoherent and Erdogan drew wrong conclusions. A second possibility is that the Turks are hustling Trump by getting him to commit on Gulen’s extradition. A third possibility is that Trump realizes that he simply cannot extradite someone who has a resident visa in the US (Green Card), which in this case was also sponsored by top CIA officials. A fourth possibility is that the US security establishment has put a spoke in the wheel since it factors in that Gulen is its platinum grade asset for a future Middle East project. 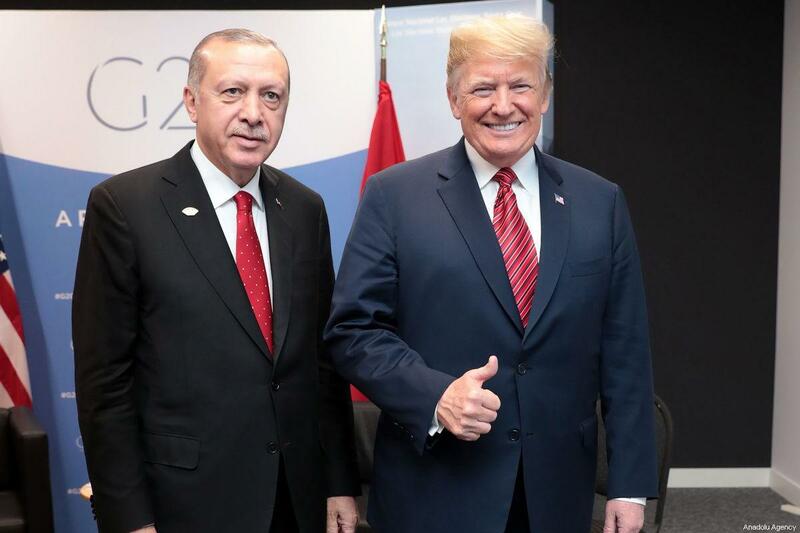 Finally, Trump is simply bargaining because there is no perceptible sign yet from the Turkish side that Erdogan might be agreeable to burying the hatchet over Kahshoggi’s killing. Or, of course, it could be a combination of all these above factors at work. Meanwhile, another front – Syria – has also become “kinetic”. Here, Erdogan is playing poker. No one knows how strong is his hand or what his game plan could be. His best efforts so far to get the Pentagon to snap the links with the Syrian Kurds have failed to produce results. The Pentagon is, in fact, adding new layers to the alliance with the Kurds by setting up observer posts on the Turkish border (to protect the Kurds from Turkish military) and to train a 40000-strong Kurdish militia that will operate on the ground as an American proxy. (See my blog Turkey threatens to pull the plug on US). This leaves Erdogan with no option but to take recourse to “coercive diplomacy”. He has now threatened that Turkish troops will attack Kurds and that the operations can start “any moment.” Suffice to say, the Gulen-Khashoggi deal between Trump and Erdogan – even if there is one – will still not cover Syria where Turkey has major considerations directly impacting the country’s national security, territorial integrity and even unity and the scope for making compromises is virtually non-existent. The point is, Pentagon simply cannot do without the Kurdish proxy, either. For, without a local proxy, the US military presence in Syria itself becomes untenable – and the Pentagon is bent on an indefinite occupation of one-third of Syria and the creation of a contiguous Kurdistan incrementally along the border with Turkey connecting the Kurdish cantons with access to the Eastern Mediterranean coast eventually. This contradiction is virtually irreconcilable. The fact of the matter is that the US hopes to bring leverage in negotiations over an eventual Syrian settlement, roll back the Iranian presence in Syria in immediate terms and evict the Russian bases in the medium term. See a fascinating dispatch featured in the Washington Post this week, titled America’s hidden war in Syria. And to this end, the alliance with the Kurdish militia becomes indispensable. On the diplomatic front, it is obvious that Washington’s efforts have run aground to drive a wedge between Turkey on one side and its Russian and Iranian allies on the other by luring Erdogan to reach an understanding regarding the US’ long-term presence in Syria. In fact, the foreign ministers of Russia, Turkey and Iran are due to meet in Geneva today to announce the formation of an intra-Syrian council to prepare a new constitution for the country. It means that the rumors spread by the Americans lately that the Astana process on Syria is dead are greatly exaggerated.